Here is a rumor that just makes so much sense that it is hard to disprove it. As Sprint flips the switch on its 4G LTE service, the carrier's pre-paid subsidiaries, Virgin Mobile and Boost Mobile, would start using WiMAX to offer 4G connectivity to its customers. According to a source for TechnoBuffalo, the two contract-free carriers would be inheriting the WiMAX service from Sprint along with some phased out handsets such as the HTC EVO 3D, which was recently removed from Sprint's lineup. Those phones might receive new names as they switch carriers. 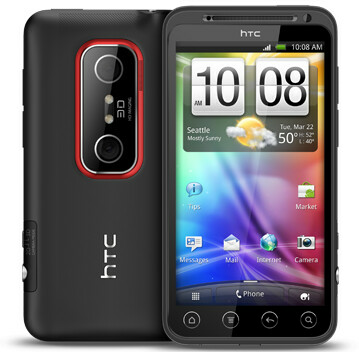 Earlier this month, we passed on to you a report that the stereoscopic handset would be called the HTC EVO V 4G at Virgin Mobile. Rate plans for the 4G WiMAX service would most likely remain the same for Virgin Mobile and Boost Mobile. The former would offer unlimited data with the carrier throttling the data speed of those who exceed 2.5GB in data usage during a customer's billing cycle. The same plan would most likely apply to Boost Mobile customers as well. None of this has been confirmed by Sprint, which is expected to start offering LTE service to its customers in June. Most likely Virgin Mobile and Boost Mobile will be the only part of Sprint's network to offer WiMAX connectivity although eventually Virgin and Boost could offer LTE service once prices for supporting smartphones come down in price. Remember, with no contract to lock in users, the two carriers cannot afford to offer a subsidy on phone purchases. So I take it Sprint would rely heavily on clearwires wimax towers as Sprint stopped upgrading towers for wimax. Well I wish you guys on boost and virgin the best of luck with getting 4g, and lets hope the phones aren't to expensive and/or dumb down spec wise. Virgin really needs some new hardware, boost is the only one getting love right now. 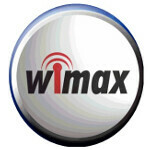 I wonder if wimax plans will increase the prices? Hope the evo 3d comes to virgin that way my friend can get a better phone than his lg optimus V that keeps freezing and acting crazy. I think U.S has one of the worst device line ups in Virgin Mobile, surprising, really. That phone is just garbage, my cousin has the LG op v and it does the same thing your friend's is doing. Many ppl wouldn't mind flashing an EVO, EVO Shift, Epic 4G or Epic Touch, as I'm sure they already have. All good phones, especially the Epic Touch of course. It's gotta come from somewhere. Soon Sprint is gonna have a very successful prepaid lineup. Alan F: you are not making sense from a business perspective. It would be a bad idea for Sprint (a company struggling to make money) to support two competing technologies for 4G. That means, other things being equal, Sprint is unable to streamline it's business in an effort to return to profitability. I highly doubt the next iPhone on Sprint's 4G network will be using WiMax technology. In business, the term we use is called "sunk cost" -- wimax and those wimax phones are sunk costs meaning Sprint will throw good money (along with manpower and other resources) after bad. I see your point but the WiMAX infrastructure is already built and maintenance costs to Clearwire are very low, as long as they dont plan on expanding it, which is fine because they are in all major metros, it should be a relatively low cost to support millions of paying users. Remember, prepaid customers are willing to receive 4G in only major metros as they pay a lower monthly fee, while Sprint customers expect nationwide LTE. Also keep in mind that with Sprint's upgraded 3G speeds (1.6 - 2.5 mbps), those prepaid customers will be a lot happier. WiMAX may not be as fast as LTE but it still offers good speeds when compared to 3G, I have tested WiMAX in many markets and the average speeds are around 6 mbps, maxing out at around 12 mbps. Another thing to think about is that 4G WiMAX chip prices have come down substantially, allowing Sprint to make this work. Additionally, wholesale / M2M agreements that Sprint has with major utilities, medical, manufacturing, automobile companies. Some of them run on Clearwire's 4G network and unless they want to move them to 3G or LTE, it would be wise for them to keep the WiMAX Network running as this is another revenue stream for the company supporting the Clearwire 4G WiMAX Network. this does seeem like a good idea to make use of the towers they already have up i doubt that they would keep building a wimax network. This is a good idea for Sprint's prepaid carriers Virgin and Boost, but, with Sprint's upcoming upgraded 3G Network, 3G speeds should run between 1.6 - 2.5 mbps which is more than enough for use on a mobile phone. Now, I could definitely see how this would appeal to those with prepaid hotspots / MiFi's.